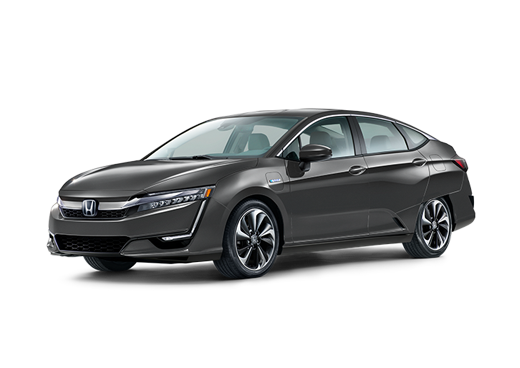 The 2019 Honda Insight lineup has arrived here at Pohanka Honda of Salisbury on the Delmarva Peninsula, and it’s brought with it class-leading power ratings and passenger space specifications to go along with a sleek and stylish exterior and a comprehensive suite of advanced new safety, technology, comfort and convenience features. Speaking of those features, the 2019 Insight lineup now includes the Honda Sensing® suite of safety and driver assistance systems standard across the lineup. The Honda Sensing® suite of safety and driver assistance features includes the Collision Mitigation Braking System, Lane Keeping Assist capabilities, Road Departure Mitigation technology, and Adaptive Cruise Control capabilities. The 2019 Insight lineup also features multi-element LED headlights, push-button start capabilities, a digital driver's meter, an eight-inch Display Audio system complete with Apple CarPlay™ and Android Auto™ connectivity, an eight-way power driver's seat, the Honda Satellite-Linked Navigation System™, and dual-zone automatic climate control technology. What are the Power Ratings, Gas Mileage Ratings and Passenger/Cargo Space Specifications for the 2019 Honda Insight Lineup at Pohanka Honda of Salisbury on the Eastern Shore of Maryland? We also mentioned in our introduction that the 2019 Insight lineup provides class-leading passenger space. More specifically, the 2019 Honda Insight LX and EX trim levels provide 97.6 cubic-feet of passenger space to go along with 15.2 cubic-feet of cargo space, while the 2019 Honda Insight Touring trim level provides 94.7 cubic-feet of passenger space to go along with 14.7 cubic-feet of cargo space. To learn more about the 2019 Honda Insight lineup, please get in touch with our staff here at Pohanka Honda of Salisbury on the Delmarva Peninsula. *Based on 2019 model-year EPA ratings for LX/EX models. Use for comparison purposes only. Your MPG will vary depending on driving conditions, how you drive and maintain your vehicle, lithium-ion battery pack age/condition and other factors. Interested in a Honda Insight?